Once in a while it occurs to me that I ought to be a better person. Better in the selfless, I’m-going-out-for-coffee-can-I-get-you-anything kind of way. Better like my grandmother, who never forgets a birthday for any of her children, or her children’s children, or the steps, the halfs, or the otherwise affiliated but geographically estranged. My grandmother always bought me books for my birthday. I loathed getting books when I was younger, books which were always a few hundred pages beyond my yet undisciplined attention span, usually featuring protagonists who were a little too world-wise for a grade-schooler to appreciate. And, anyway, I was a materialistic brat of a tweenager– I wanted lip-gloss and nail polish and body lotion that would make my arms glittery. As an adult, all I ever want to give anyone is a book. For a birthday, a funeral, a holiday, for an ‘I’m sorry’ or a ‘thank you,’ for a long train ride, or to strangers I meet briefly and with no expectation of seeing again. Like my grandmother, I usually give my favorite books, which is, I am aware, completely inconsiderate of the literary sensitivities of the recipients of these books, but it is something they will endure as I did, because eventually you will find yourself thinking of this person (be they a kind stranger or a far-from-home friend), and in the book you will find their company. On the night of April 23rd tens of thousands of people will swell into the streets of their cities and neighborhoods to give 20 copies of a specially-printed, not-for-resale edition of a book of their choosing to 20 strangers. Launched internationally in 2011, World Book Night debuts in the United States this year, joining the U.K. and Ireland to celebrate the power of books, spread literacy awareness and bring individuals together on a date that famously marks Cervante’s death and Shakespeare’s birth. It is my instinct that this night will unwittingly inspire some new friendships, that insights usually reserved for classrooms will be exchanged without pretention or hesitation and that there will be much to be thankful for in April. It’s like Trick-or-Treat with books. Thanksgiving in spring. A birthday present for Shakespeare. It’s good-doing that’s really, really fun. This year’s deadline for becoming a giver has passed, but for those of you who were able to become givers this year, we invite you to share your stories of the events of the night of the 23rd with us. Learn more about World Book Night , or to visit their blog. Do you have your own blog? We’d love to share your posts about WBN on microcosmpublishing.com. You can also view their Facebook Page, where other givers will be sharing their stories, as well. BACK IN PRINT! 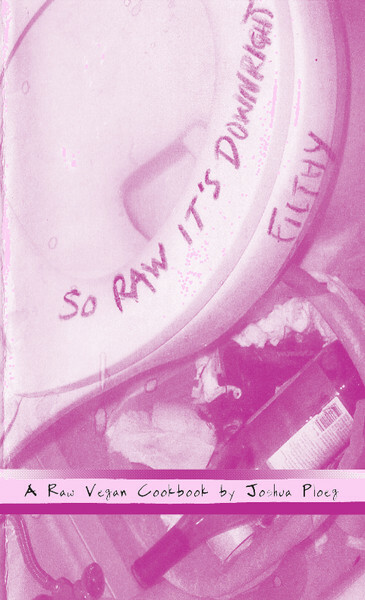 A very literal guide, “A DIY Guide to Cultural Manipulation” is a great resource for learning to use the microbes around you. Wanna learn how to make your own sourdough? Miso? Injera (Ethiopian sourdough) bread?!!! It’s in this handy dandy and super resourceful guide for fermenting in the comfort of your own home. Yummy home made sour cream! Buttermilk! Cheese and tempeh!!! Double and triple wow your friends and family with the helpful directions on how to ferment your own kimchi and other tasty, briny treats. OUT NOW! White elephants are the odd, old, and discarded things that end up at yard sales and flea markets—and Katie Haegele loves them all. Well, an awful lot of them, anyway. She lives a few blocks from the house she grew up in, and every summer she and her mother scour the neighborhood tag sales, looking for treasure. In this unusual, touching memoir, she chronicles the places they go and the things they find there, describing every detail in her singular, charming voice. In the end she finds more than just ugly table lamps and frilly aprons, ultimately discovering a real friendship with her mother, a deeper connection to her father, whose death left a hole in her life—and even a bit of romance. Interview! Robyn Jasko from Homesweet Homegrown and growindie.com! 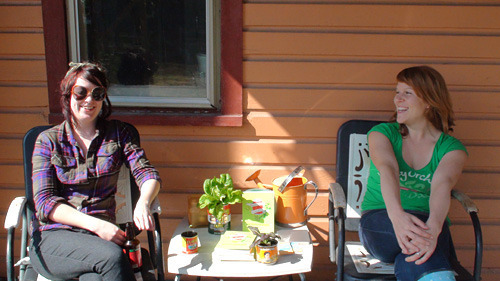 Homesweet Homegrown author Robyn Jasko (also of growindie.com) and illustrator Jennifer Biggs are currently Kickstarting their upcoming BY-TRAIN BOOK TOUR! That’s right: They’re doing an AMTRAK TOUR and we were so stoked to hear about their upcoming adventure we just had to do an interview! Here Robyn talks growing season, tour plans, and more! A: Yes, it’s true! We are spreading the word out about our new gardening and homesteading book called Homesweet Homegrown: How to Grow, Make and Store Food No Matter Where You Live. To fund the tour, we launched a Kickstarter campaign and are selling signed copies, organic/non-gmo garden seed collections, and lots of other schwag. There’s also a fun little video we made featuring myself, Classy Poppy, and illustrator Jennifer Biggs that shows off the book, and some of our homesteading shenanigans. 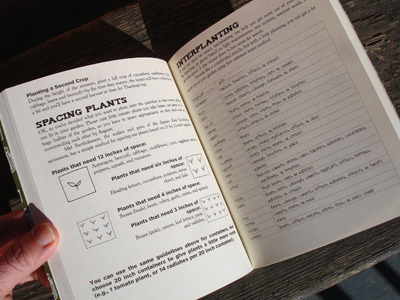 As for rewards, we are offering signed copies and super easy to grow seed collections for just $35. Or, for $65, you get a book and 20 packets of organic/non-gmo seeds—which is enough to grow a ton of food! Q: One of our favorite things about this tour is you’re doing it via TRAIN. Why go Amtrak? A: There are so many reasons we wanted to take the train—we are big fans of public transportation and cutting down on fuel fuels/emissions, so the train was an obvious choice. Plus, there’s a drink cart! We hope to be hanging out there, talking about the book to whoever will listen and proselytizing our mission of homegrown foods as we trek through the US. Q: Considering the material you’re working from, this definitely doesn’t sound like your boring ol’ traditional read-a-chapter-in-a-bookstore-then-sign-books kinda book tour. What sorts of things do you plan to do? A: Exactly, instead, we’ll probably be canning/pickling/and planting up a storm, or making a few projects from our Make section, like newspaper pots and easy homemade seed tape. 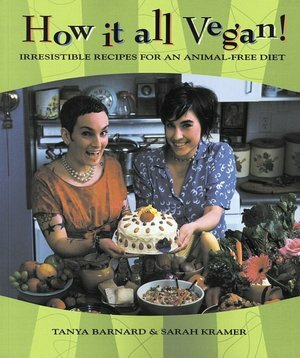 Or, maybe we’ll make one of our 30 vegan recipes from the book that show you how to get the most out of your garden or CSA share. Our plan is to hit up urban garden centers, indie shops, and bookstores to reach as many farmer/foodies and DIYers as possible. Through the Kickstarter we even have an option to come help you start a garden! So, you never know what we might be up to … but it most likely will be a good time. Q: It’s spring and a lot of us are growing stuff at the moment. (Many of us being excited beginners.) 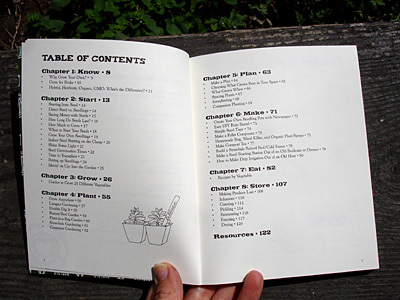 If you had one tip to give the new gardener/future farmer/homesteading urbanist, what would it be? A: You can grow anywhere—even if it’s just a little windowsill basil plant or a rooftop tomato plant, that’s one less thing you have to buy at the supermarket, so give it a try! It’s not that hard, I promise. Q: Finally, what kinds of things are you growing this season? 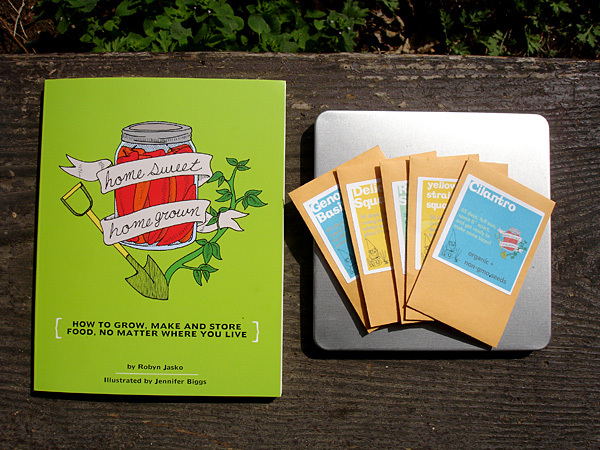 See the Homesweet Homegrown book tour kickstarter right here. 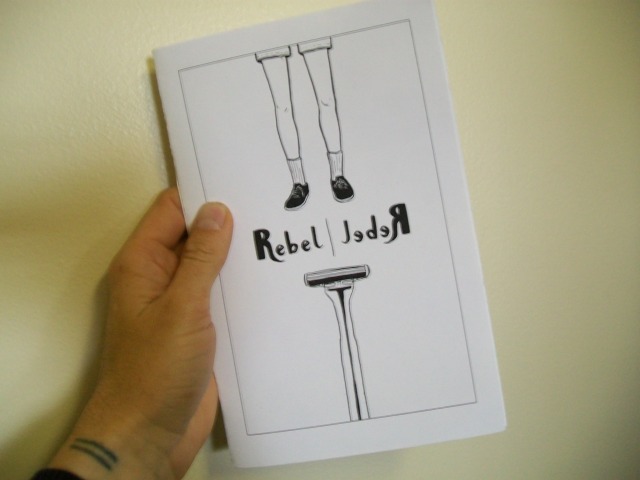 We are in LOVE with MJ Robinson’s new comic Rebel Rebel. 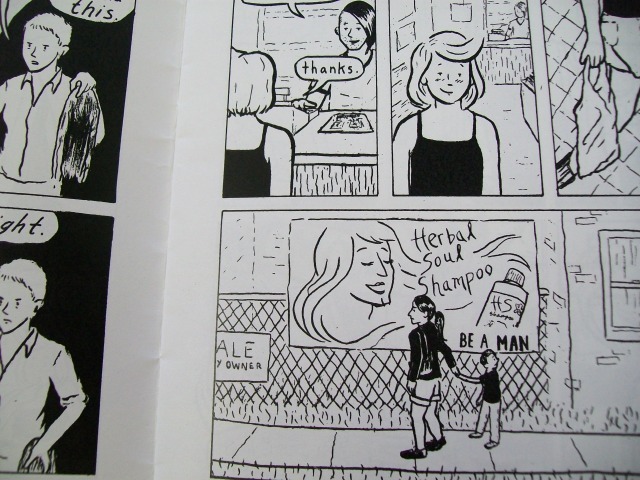 This well-drawn mini looks at gender roles and is a good companion to Julia Eff’s Every Thug is a Lady: Adventures Without Gender. What if gender roles were flipped? What makes a “man” a man and a “woman” a woman? Do girls have long hair because they’re “girls”? 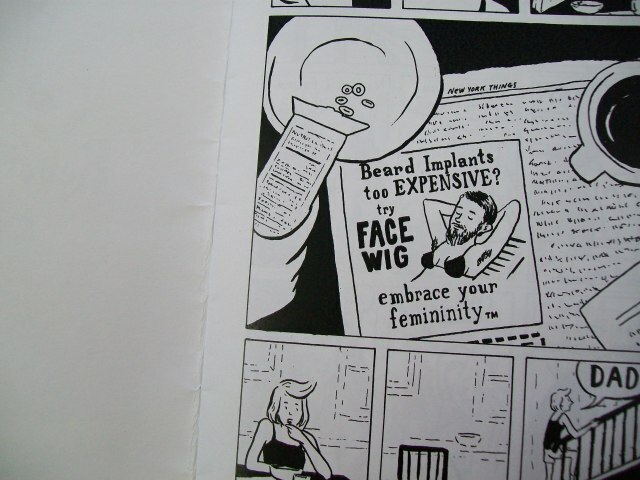 Is facial hair manly or feminine? How does the world around us cramp our gender-free/personal-idea-of-gender style? MJ’s comic is a total shake-up of existing “rules” and roles and the result is a pleasant mindblower and a great gift for that special someone in your life with rigid views of what a “man” and a “woman” must be. Order Rebel Rebel right here. 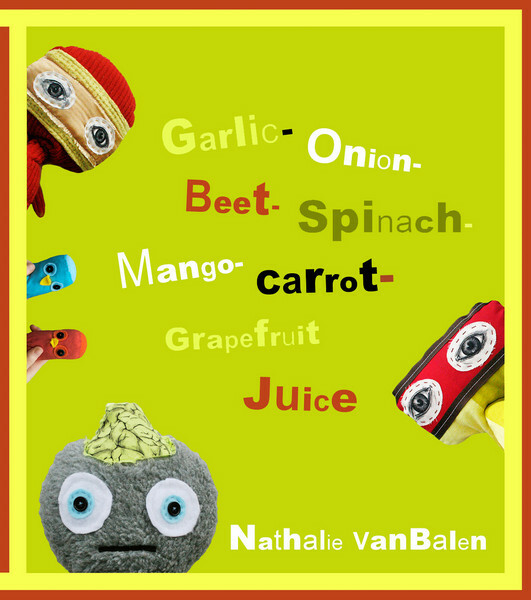 Book List: Vegan Cookbooks and Cookzines! Part 3 of 3! Like the Red Scare, this “Green Scare” is about fear and intimidation, using a word—”eco-terrorist”—to push a political agenda, instill fear and silence dissent. The animal rights and environmental movements directly threaten corporate profits every time activists encourage people to go vegan, to stop driving, to consume fewer resources and live simply. Their boycotts are damaging, and corporations and the politicians who represent them know it. In many ways, the Green Scare, like the Red Scare, can be seen as a culture war, a war of values. 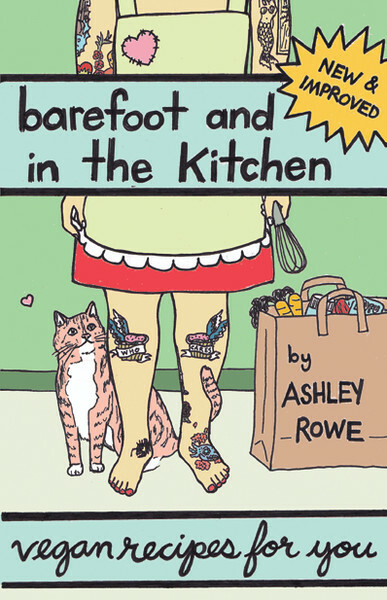 Book List: Vegan Cookbooks and Cookzines! Part 2 of 3! Part two! See part one right here. 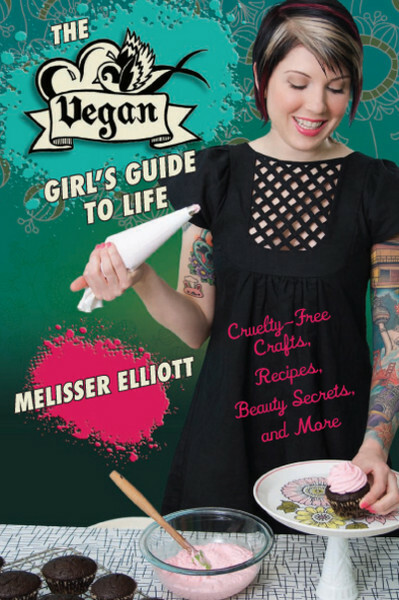 Vegan Cupcakes book: 75 Dairy Free Recipes for Cupcakes that Rule!